Pink ribbons. Hope, strength, and femininity are all part of the iconic pink ribbon, which symbolizes the good fight against breast cancer. We all know someone, near and dear to us, that has had to deal with breast cancer. 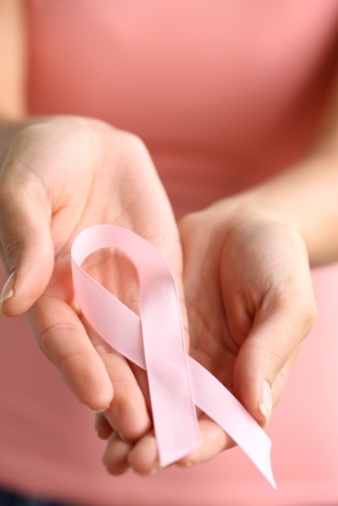 A woman's lifetime risk of being diagnosed with breast cancer is 1 in 8 or 12.5%. A woman's breast symbolizes her femaleness, her sensuality, as well as her physical capacity to nurture a baby. There is so much emotion about the breast, the threat of breast cancer and the effects of breast cancer treatment. Thankfully, gone are the days of the radical and disfiguring mastectomy. One of the Cleveland Clinic's early leaders, Dr. Barney Crile pioneered less invasive treatment for women. Everyday, we are learning more about the genetics of cancer and how to better treat cancer. We need to separate some of this important passion about the breast and look at the science of breast cancer and breast cancer screening. I remember in medical school, my anatomy professor somewhat bluntly and crudely stated, "What is the big deal about breasts? They are just large, modified sweat glands!" Well, there is much more to the breasts than just the incredible ability to secrete the rich, protective colostrum and then a mother's milk. The breasts ducts are potentially susceptible to abnormal cell growth that can lead to cancer, which may or may not threaten a woman's life. Most women inaccurately rate their risk of dying from breast cancer as higher than dying from cardiovascular disease! Women should get annual mammograms starting at age 45 and the mammograms should be personalized for each woman. Some women can wait until age 50 to begin screening mammograms and have them done every 2 years. High risk women need more intensive screening. A recent 30-year study was published in the New England Journal of Medicine that estimated that up to one third of women diagnosed with breast cancer have indolent, non-active cancers. During the period of the study, potentially more than one million women were estimated to have been overdiagnosed with breast cancer, that is diagnosed with a tumor that is not destined to progress to any significant problem. Of course, early diagnosis has been promoted as a way to reduce death rates from breast cancer. However, some of the reduction in breast cancer death is actually due to improvements in treating breast cancer as opposed to solely finding the cancer earlier. The mammogram does NOT pick up all types of breast cancers and some aggressive, fast growing breast cancers are unfortunately not affected by screening mammography, which remains an imperfect, but an important tool. Tamoxifen-FDA approved to reduce pre- and postmenopausal ER positive breast cancer. 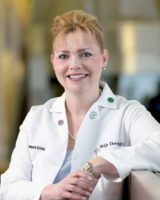 Raloxifene-FDA approved to reduce postmenopausal ER positive breast cancer. Women with the BRCA gene mutation may actually choose a risk-reducing mastectomy with or without reconstruction preventatively and bilateral ovary removal after age 40. So, what do YOU do? Knowledge is power and one size does not fit all. You need to know that mammograms can catch some cancers that might never make you ill and that conversely some cancers will not be caught by mammograms. However, you should NOT use this as an excuse to avoid breast screenings. Rather, with your women's health physician, you should assess your risk for breast cancer, your tolerance for false positive tests, and when and how often you should be screened. For more information on breast cancer, download our free Breast Cancer Treatment Guide.